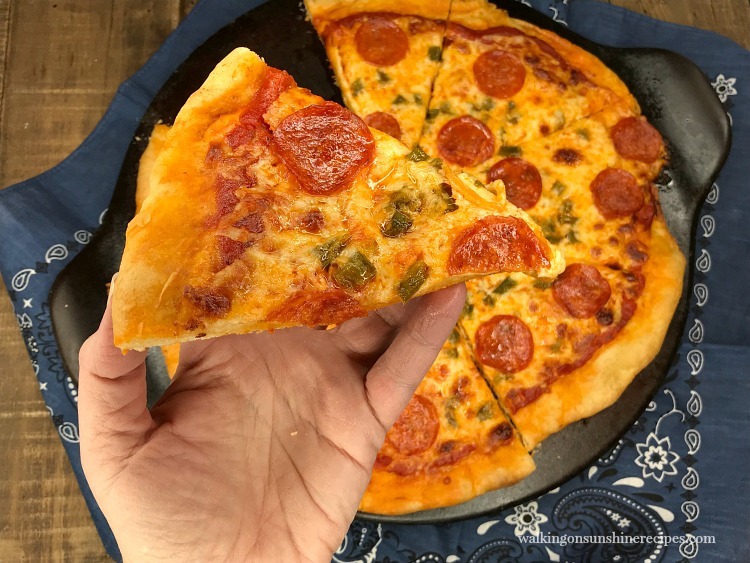 Homemade Beer Dough Pizza Crust Recipe for perfect pizza every time! 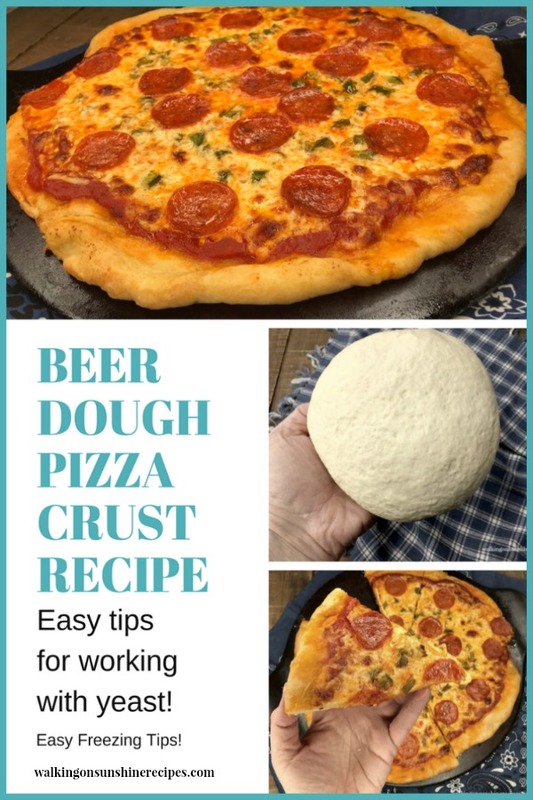 The secret to thin, crispy perfect pizza every single time is adding beer to the homemade dough…wait…what did you say is in this dough? 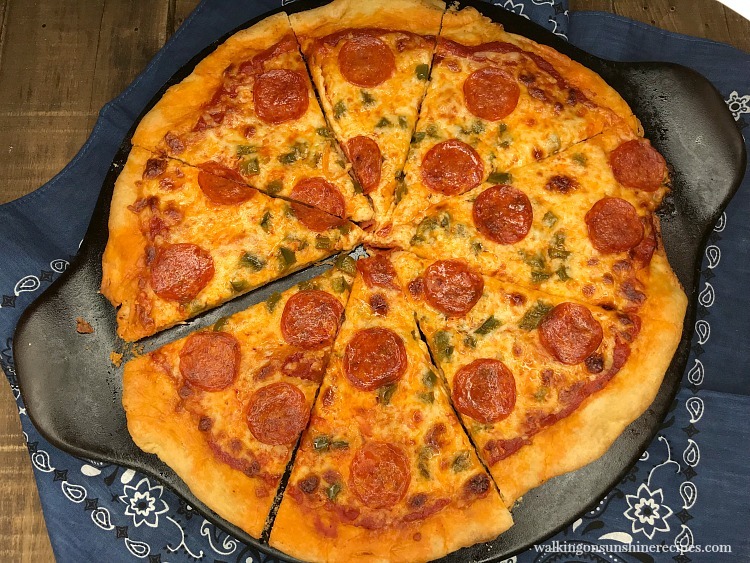 You are going to love how easy and delicious this recipe for homemade beer dough pizza crust is. And yes, you read that correctly. There is beer in this dough. 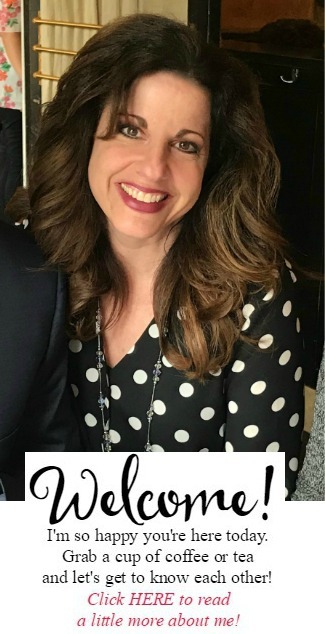 If you’ve been a follower of my blog or Facebook page for any amount of time, you’ll know that I don’t drink alcohol and I never cook with alcohol. I was raised a pastor’s kid and alcohol was a big no-no growing up. And it’s something both my husband and I still follow to this day. But I made the exception with this beer dough pizza crust recipe. 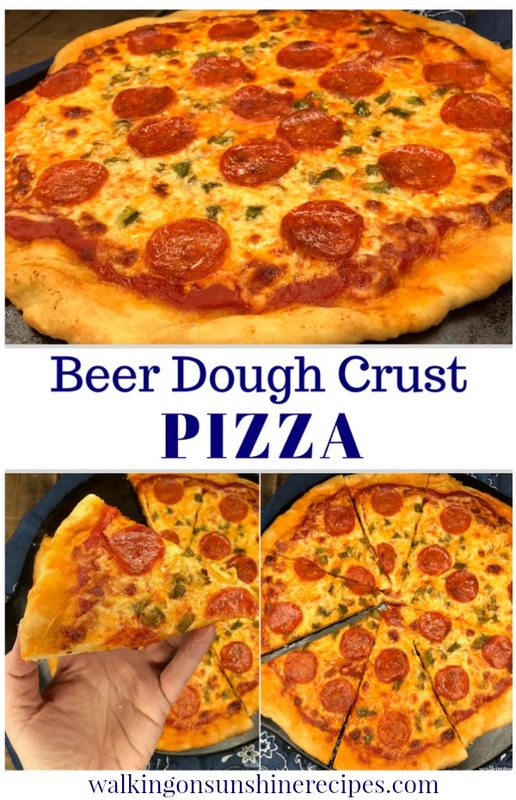 It’s amazing and adding the beer to the dough turns out a delicious thin crispy pizza crust every single time. And don’t worry, the alcohol evaporates as you bake the pizza dough. Saturday night is pizza night and has been since I was a teenager. 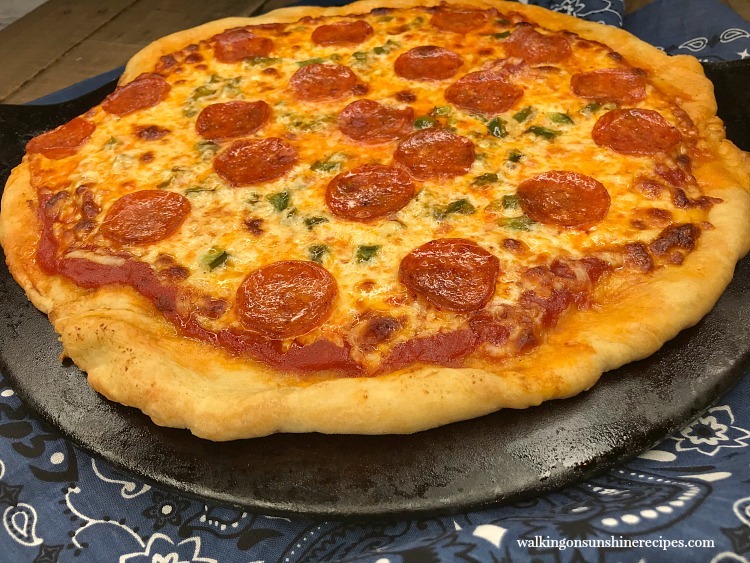 For years I used my regular pizza dough recipe that you can find here. And I’ve also purchased pizza dough. 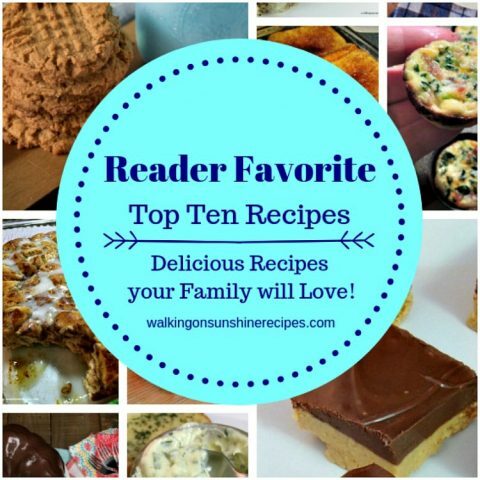 But I’m really happy I found this recipe because it is so incredibly easy and it freezes well too! 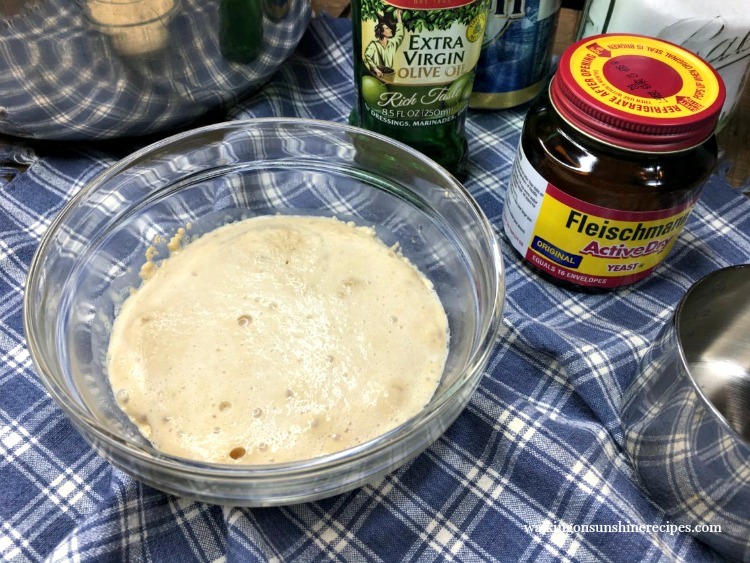 For some people the thought of using yeast in a recipe fills them with fear. But trust me, baking with yeast is easy. 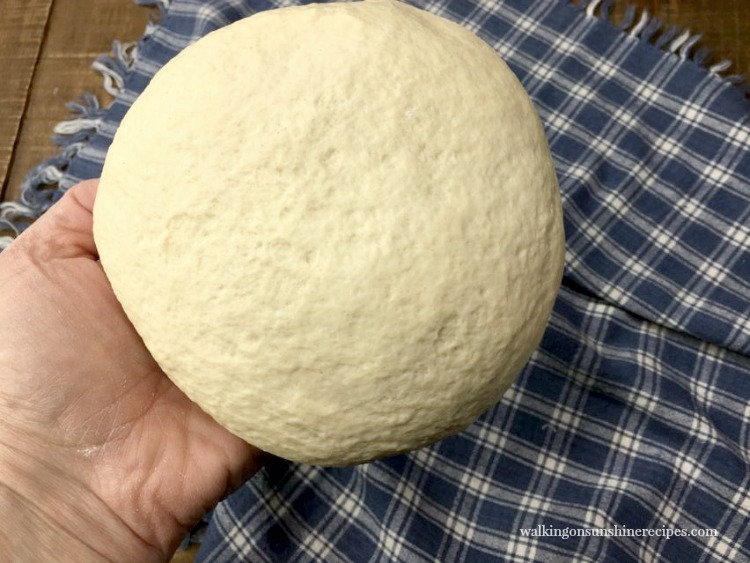 You just need to follow a few simple tips to have your bread dough, or pizza dough in this case, come out perfect every time. Yeast needs to grow in warm water. Make sure the water is 105 to 115 degrees before adding it to the yeast. Use a thermometer to make sure the water is the proper temperature. You can heat the water in the microwave but really the easiest way for me is to just run the water in my faucet and then I hold the thermometer under the running water until it reaches 105 degrees. Then I fill up a measuring cup and check the temperature again. When I’m sure the water temperature is between 105 to 115 degrees, I’ll add the correct amount the recipe calls for to a bowl with the correct amount of yeast. Most recipes will have you add a little sugar to the yeast and water mixture which will help the yeast to proof or grow. Cover the bowl of water, yeast and sugar with a plate and set it aside to proof. This usually takes around 5 minutes. Covering the bowl traps the heat inside helping the yeast to grow quicker. Once the yeast is foamy, you can continue with the recipe as directed. If after 5 or 10 minutes the yeast is not foaming or proofing, you need to start again. The yeast is dead. Don’t even try to add the dead yeast to the flour. See the foam? That’s happy yeast. 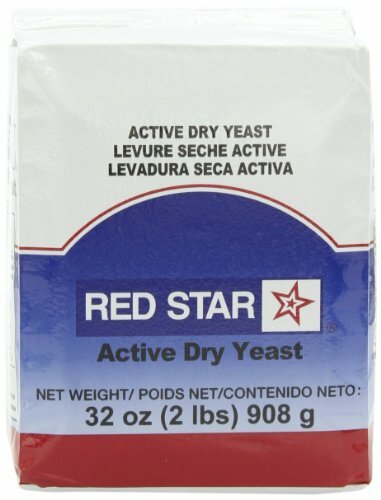 If your yeast mixture doesn’t look like this photo, do not use it. Start over making sure the water is the correct temperature. The very first time I made this recipe I measured out the 1 1/4 cups beer and added it right away to the mixing bowl without realizing that probably half of what I poured in was foam from the beer. So I didn’t get the full amount of beer in the dough. The beer needs to be warm. Take it out of the refrigerator a few hours before you ready to put the dough together. When measuring the beer, pour it into a measuring cup and allow the foam to settle to make sure you have a full 1 1/4 cups of beer being added to the mixing bowl. It usually takes a few minutes for the foam to dissolve. After the yeast has proofed, add it to the bowl of your KitchenAid stand mixer. Then add the salt, olive oil, and 2 cups of the flour. Slowly start adding in the warm beer and then a little more of the bread flour 1/2 cup at a time. 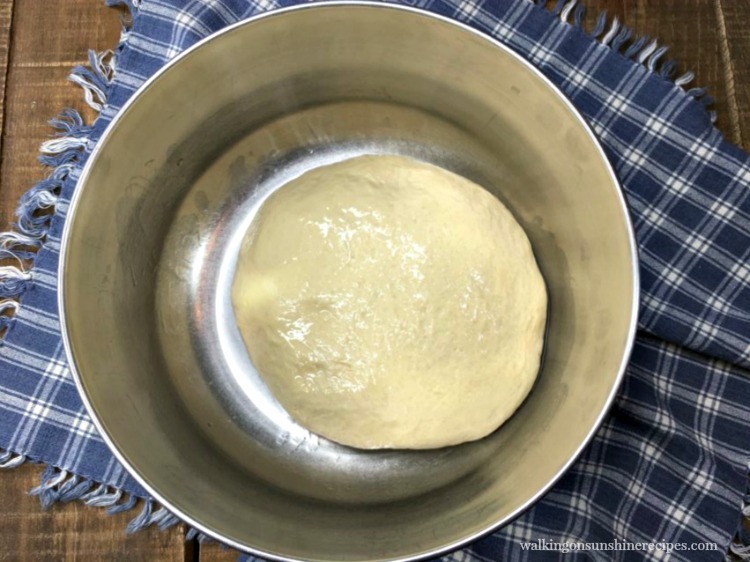 When the dough starts to come together and pull away from the sides of the bowl, set a timer for 5 minutes and allow the machine to knead the dough for you. 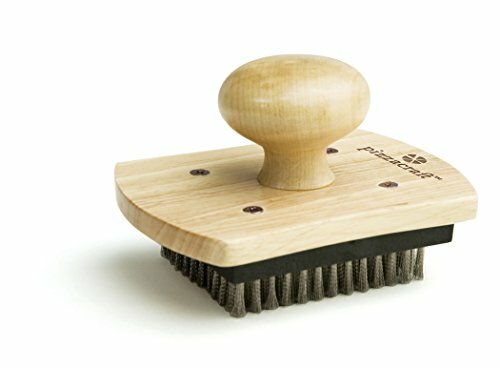 You don’t need to use a mixer! You can definitely do this whole recipe by hand. Then place the ball of dough in an oiled bowl. Cover with plastic wrap or a clean dish towel and set in a warm place in your kitchen. I like to set my bowl on top of my oven’s warming zone. In about an hour, the dough will double in size. Punch it down…yes, just punch the dough and pull it out of the bowl on to a floured surface. This recipe will make two pizzas. You can use them both for dinner tonight or you can make one pizza and freeze the other dough for another time. It’s really up to you. After you have divided the dough into the 2 equal parts, you can place the dough rounds on a parchment or waxed paper lined baking sheet. Place the baking sheet into the freezer and flash freeze the dough for about 30 minutes. Remove the dough rounds from the baking sheet and wrap individually in either plastic wrap or parchment paper. 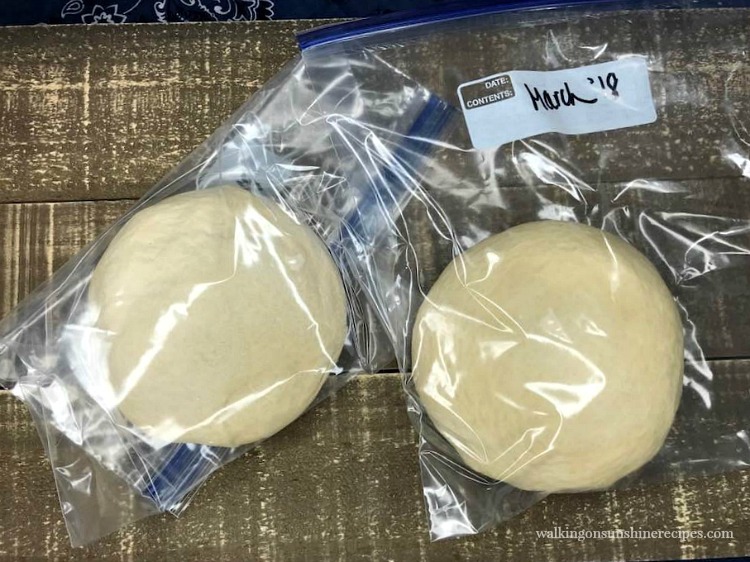 Place each dough round into a large freezer safe plastic bag and freeze for up to two months. When you are ready to use, take the frozen dough round out of the freezer and let it come to room temperature. Once defrosted, prepare the pizza as instructed below. Don’t forget to date the freezer safe bag! 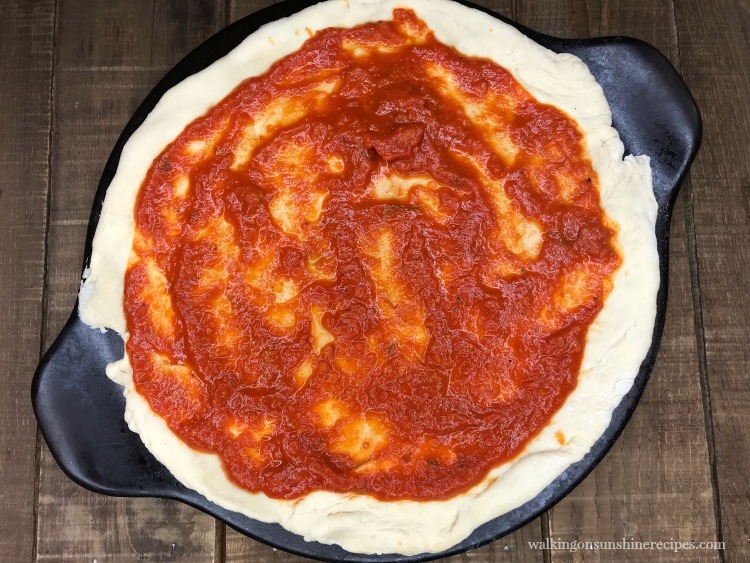 Putting it all together – let’s make pizza! But wait…first we have to make sure the pizza stone is hot. Really hot. So make sure you preheat it. 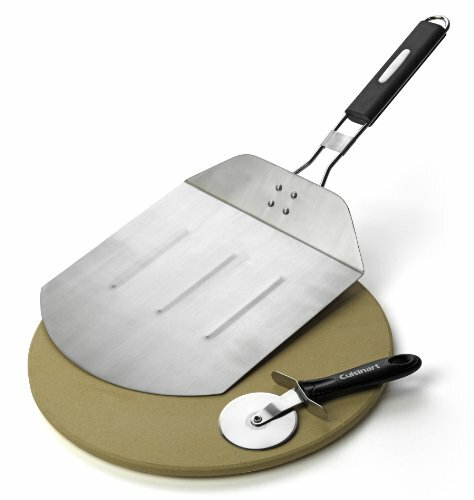 If you don’t have a pizza stone…get one. It makes pizza come out amazing. But if you really don’t have one, you could use a cookie sheet or rectangle baking pan. 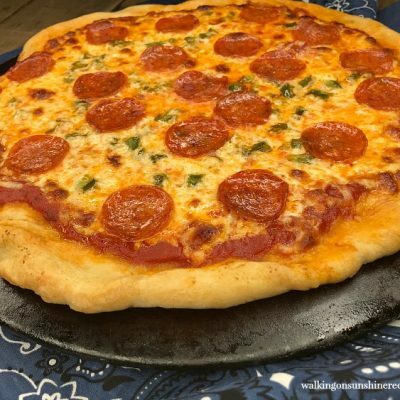 Make sure you check out my Shopping List below for a few different pizza stones that you can easily order from Amazon. 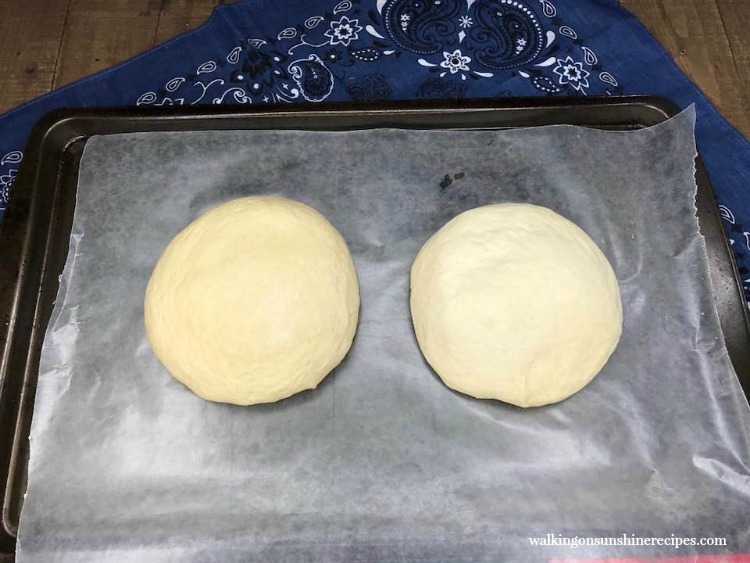 Spread out the dough into a circle shape. You can do this with a rolling pin or just use your hands. I like to use my hands and shape the dough, my hubby likes to use a rolling pin. It’s up to you. 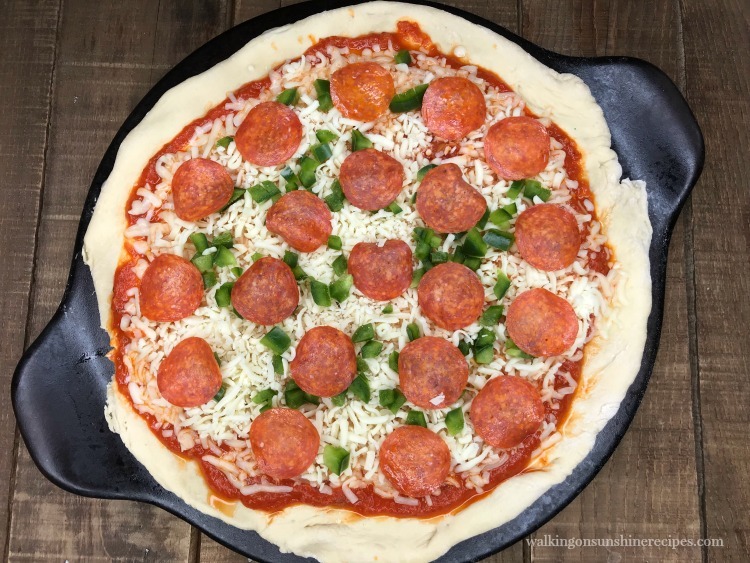 Remove the pizza stone from the oven…be careful…it’s HOT! Place the dough on top of the very hot stone and quickly spread with tomato or marinara sauce. The stone is so hot it immediately starts baking the dough, so work quickly. Add the cheese and your favorite toppings. 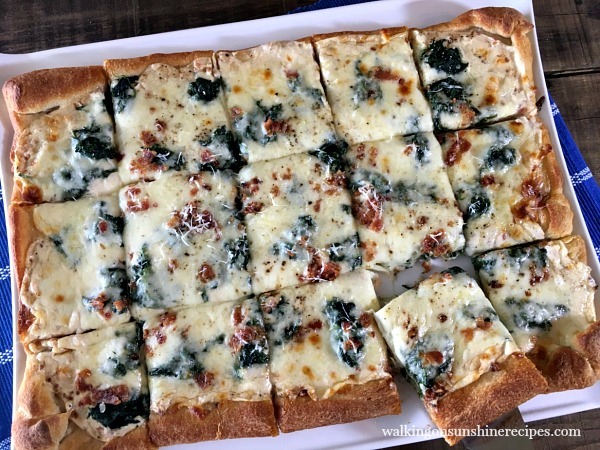 Place the pizza stone in the preheated oven and bake for about 15 minutes or until the pizza crust is browned and the cheese is melted and bubbly. 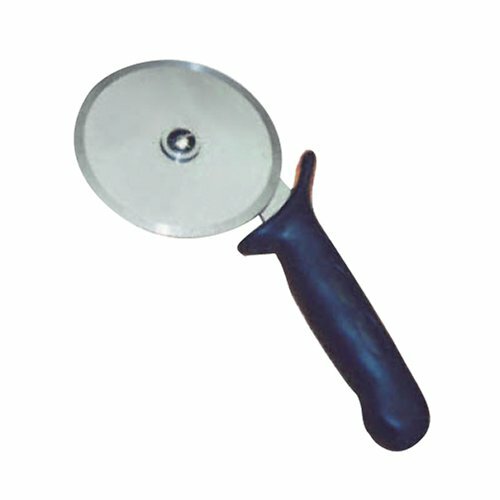 Slice and get ready to enjoy the best pizza ever! Okay, here’s a closeup. It really is delicious. Adding beer to pizza dough will give you a flavorful, no-fail crust every time! Combine the 1/4 cup water, sugar and yeast in a small bowl. Let sit until foamy for about 4 to 5 minutes. In the bowl of an electric mixer fitted with a dough hook, add the olive oil, salt and 2 cups of the flour. Turn the mixer on low and begin combining the ingredients. Slowly add in the warm beer. Gradually add more flour; a 1/2 cup at a time. You may not need to use all 4 cups of flour. Check the dough while the machine is kneading. If it starts to stick to the sides of the bowl, you can add more flour, about 1 tablespoon at a time. After the 5 minutes of kneading in the machine, turn the dough out onto a lightly floured surface and fold it over itself a few times. Form the dough into a round and place in a lightly oiled bowl, turn it over to coat. Cover with plastic wrap or a damp towel and let it rise in a warm spot ; about one hour. Once the dough has doubled in size, punch it down and turn it out onto a floured surface. 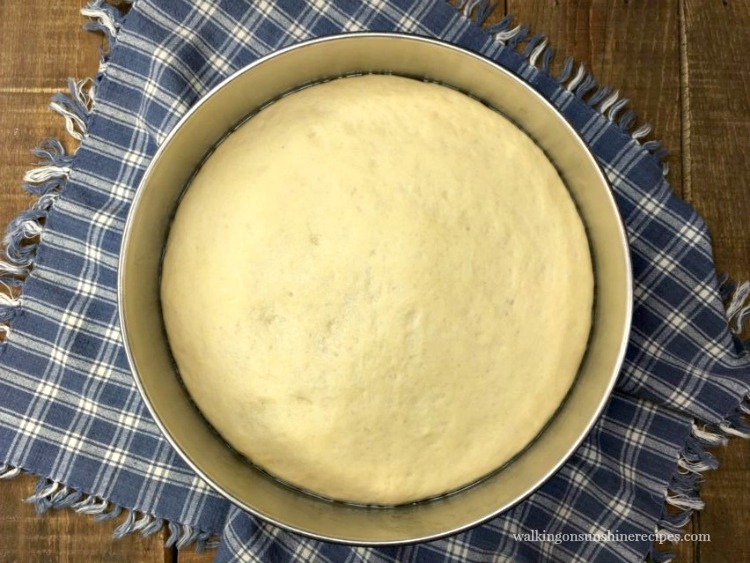 Roll out one pizza dough into a large 12 inch circle. 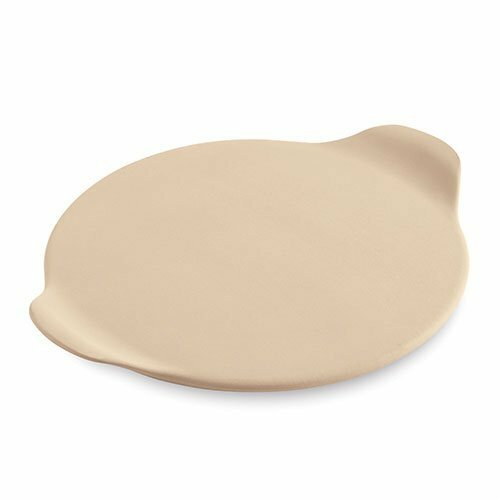 Gently place the dough on top of a preheated pizza stone. Quickly prepare the pizza with your favorite sauce and toppings. Brush the pizza crust with extra olive oil if desired. It's not necessary, but we like to do this extra step. 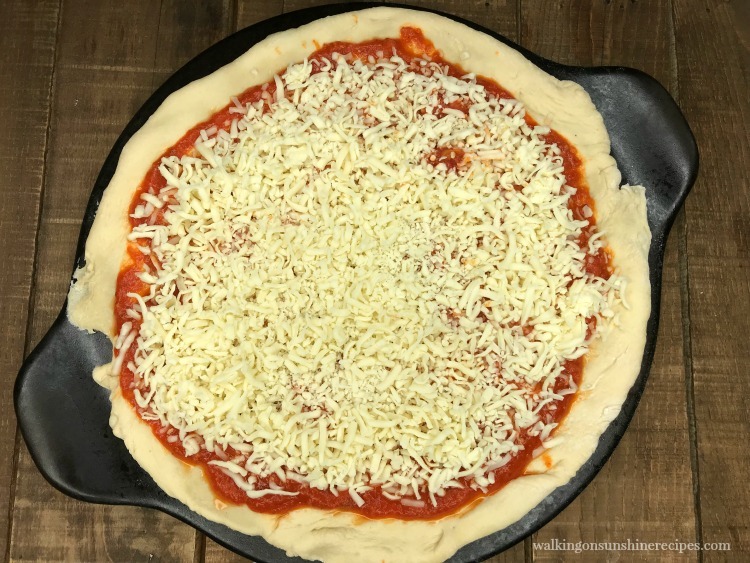 Place the pizza stone into a preheated 435 degree oven for about 15 minutes or until the crust is brown and the cheese is bubbly. Pizza stones need to be preheated and HOT when you place the pizza dough on top. If you place the raw pizza dough on top of a cold pizza stone, you will not have a crisp crust. Pour the beer into a measuring cup and let it sit for a few minutes for the foam to disappear to make sure you have the full 1 1/4 cups of beer. After you have divided the dough into the 2 equal parts, you can place the dough rounds on a parchment lined baking sheet. Once defrosted, prepare the pizza as instructed above.